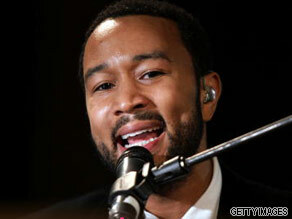 John Legend’s path to success is one most musicians can only dream of. John Legend is your Connector of the Day. The artist started his career as a college student at the University of Pennsylvania where he was tapped to collaborate with Lauryn Hill on her current album at the time. Shortly after graduation he was introduced to Kanye West who eventually helped him sign a deal with Columbia Records. His first album “Get Lifted” earned Legend 6 Grammy awards including Best New Artist. It went on to sell 3 million copies worldwide and debuted in the top ten of the Billboard 200. His next two albums came out in quick succession and were greeted with equal acclaim. And in 2007 Legend was awarded the Starlight award from the Songwriters hall of fame. And this year he’s released a collaborative album with The Roots entitled “Wake up” featuring a range of guest artists. This is your chance to ask the musical “Legend” you’re questions. Need some tips on the Industry? Want to know his song-writing secrets? Please leave your questions for him below and be sure to tell us where you're writing from. He's saved presidents, been a president, saved the universe from a dark lord and has even been a top-secret spy - all roles that Harrison Ford can say he has taken on. Harrison Ford is your Connector of the Day. Pegged to blockbuster action movies like "Clear and Present Danger," "Indiana Jones," "Star Wars" and "Air Force One", Ford has played roles that many people would die for. Born in July 1942, Ford may have been destined to act since birth - both his parents were former actors. Ford dabbled in a variety of activities growing up - from the Boy Scouts to trying to make it as a voice-over actor. But, it wasn't until he landed the starring role in George Lucas' 1977 "Star Wars" that he became a household name. 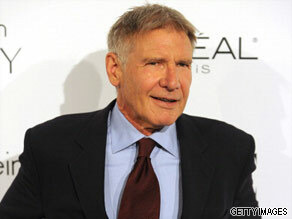 Ford would go on to play Han Solo in the three additional "Star Wars" sequels. The other leading role that cemented Ford's status as one of Hollywood's leading men was the "Indiana Jones" franchise. Throughout the 90s, Ford went on to have a hugely successful film career with leading roles in the Tom Clancy spy series, Sydney Pollack's Sabrina and presidential thriller, "Air Force One." Ford has also been a very strong environmentalist and ﻿﻿﻿﻿is the ﻿﻿Vice Chairman of Conservation International. Today he is in Japan talking to leaders from around the world about the importance of preserving biodiversity and curbing environmental damage. Here's your chance to quiz Harrison Ford. Before he became Sir Michael Caine, he was merely Maurice Micklewhite. Michael Caine is your Connector of the Day. The London born actor has come a long way since his humble beginnings. Leaving school at 15, he worked a run of odd jobs before joining the army. The time away made Michael realize his true passion - acting. On his return, he joined a theater and took on the stage name Caine for extra cache. In 1964, he was signed up to battle blockbuster "Zulu, but the lead role in "Alfie" – set in swinging 60s London – really rocketed Caine to global fame. Caine had to wait until the mid-80s for his first Oscar though: in "Hannah and Her Sisters." His second Oscar came in "The Cider House Rules" in 1999. Dial forward to the 21st Century, and Caine’s still delivering the goods. He’s formed a formidable duo with director Christopher Nolan, acting in Batman Begins, The Dark Knight and Inception. As one of only two actors in the world nominated for an Oscar every decade from the 1960s til now (the other is Jack Nicholson) Caine is clearly an actor for every century. 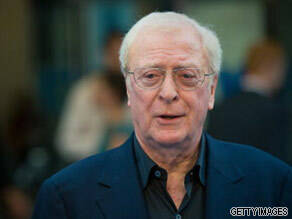 Here's your chance to ask Michael Caine your questions. Please leave them below and be sure to include where you're writing from.